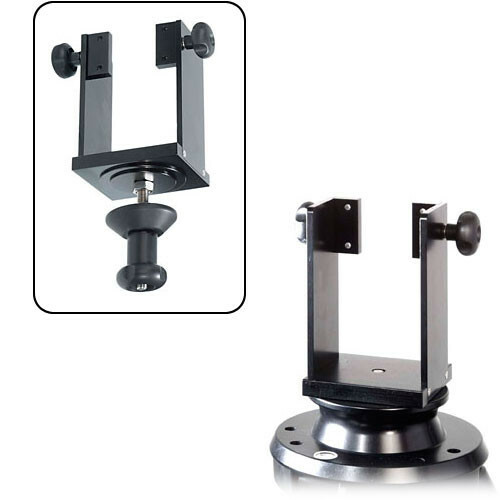 The Cambo PT-134 is a mounting adapter for the PT-90 and PT-900 motorized pan and tilt device. This adapter allows the pan and tilt devices to be mounted directly to a standard professional video tripod. This adapter is for non-boom applications where a tripod is used as the support unit; motorized pan and tilt can be remotely controlled for multi-tasking studio applications. Box Dimensions (LxWxH) 13.3 x 10.1 x 7.1"
PT-134 Mounting Adapter is rated 4.0 out of 5 by 1.